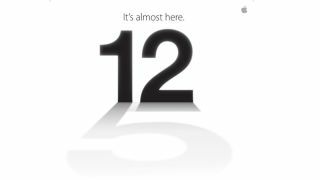 With just one more day to go, everyone and their mothers seem to be gearing up for the iPhone 5 launch going down Wednesday. But at least one analyst is staying a bit more reserved in his enthusiasm, who claimed that the iPhone 5 might not be the market wrecking ball its predecessors were. "The iPhone 5 will launch into a U.S. smartphone market with very different dynamics than the launch window of the iPhone 4 or the iPhone 4S," wrote NPD analyst Stephen Baker in a blog post. "While the new iPhone may be a gigantic success around the world," he continued, "the inevitability of similar success in the U.S. is not quite so pre-determined." Baker cited a recent NPD report that U.S. smartphones experienced a mere 9 percent growth in Q2 2012, and most of that growth can be attributed to prepaid devices. Industry growth is slowing down, and existing iPhones are already available on most major carriers. The iPhone 5 doesn't have any easy niches left to fill. On top of that, Apple and Samsung combined already have more than 50 percent of the market. With few easy targets in the smartphone industry left for Apple to knock down, the new iPhone may not have the same explosive impact that past iPhone releases have had. Though it may not prove an industry nuke, the iPhone 5 will surely still at least make a splash upon its impending release, Baker said. "None of this should of course be construed that Apple can't, or won't, have an extremely successful launch in the U.S. when the iPhone 5 comes to market," he wrote. "Apple will have a highly successful launch, of that there can be no doubt," he concluded. "But the inevitability of easy market share gains in the U.S. is not quite so apparent this time around."